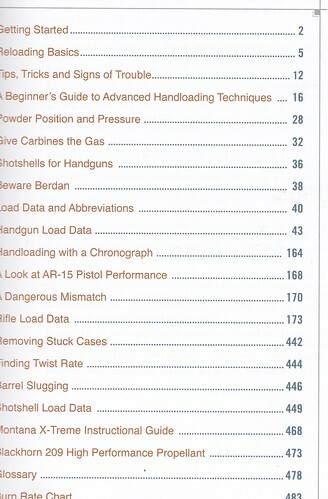 I only load for 6 metallic and 12 gauge, But being a book alcoholic I liked a listing of what was listed in the contents. I like the pistol carbine rifles ( I own and shot a sub 2000) and it has a nice explanation of barrel slugging with clear color photos. All the photo's are sharp and clear. It also covers the cart's I load and since I have a couple of their powders. Along with a couple of other topics that I find interesting I popped the $39.99 for it. It has data for a lot of the marginal or small cart. sizes Lots of the S&W ones, including the S&W 500 which I shoot. The Desert Eagle .50AE which I also load for. 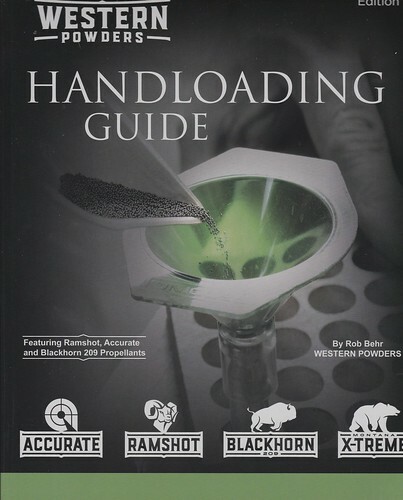 Also has shot shell for pistols section which I found interesting as it uses metallic carts. They have the 6 edition of their magazine data book out but I think this will make a great addition to my library.